J. Paul Getty III, the troubled grandson of one of the world’s richest men who lost an ear in a grisly kidnapping as a teenager and suffered a devastating stroke as a young man, has died. He was 54. His son, actor Balthazar Getty, confirmed that his father had died last Saturday at his Buckinghamshire estate northwest of London surrounded by his family. The cause of death was not disclosed. But Getty had been gravely ill for some time. Getty’s life captured the turmoil of his times. Born in 1956 to vast oil wealth in the billions of dollars, his life was upended when he was kidnapped at age 16 in Rome. To press their demands for ransom, his captors cut off part of his ear to sway Getty’s family, who had been reluctant to pay a ransom of 2,7 million dollars. While undergoing treatment for alcohol abuse in 1981, Getty suffered a life-altering stroke that left him paralyzed, unable to speak and in need of around-the-clock care. John Paul Getty III, who died on Saturday at 54, was once the favourite grandson of the world’s richest man but, cursed by the trappings of fabulous wealth, never found health nor happiness. As a tall, freckle-faced youth of 16, he was kidnapped by a gang of Italian petty criminals who blindfolded him and chained him to a stake for five months. Eventually they cut off his right ear as evidence of their willingness to kill him unless a ransom was paid. 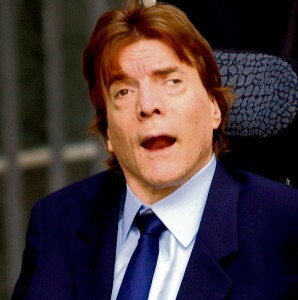 Eight years later, and by then addicted to a cocktail of alcohol and hard drugs including heroin and cocaine, Getty was the victim of a near-fatal stroke that left him a quadriplegic (almost blind) and confined to a wheelchair. For the rest of his life, unable even to enunciate his own name, he had to be spoon-fed, dressed, bathed and cared for around the clock by his mother (Gail) and a team of carers. With only peripheral vision, Getty had problems communicating, and could emit only a high-pitched scream. Worse, his relationship with his father, John Paul Getty II, had broken down when his parent – who in 1976 had inherited a quarter of the Getty Trust, worth at least 1,3 billion dollars – refused to pay his son’s medical bills, running at 25,000 dollars a month. His son, actor Balthazar Getty, said in a statement from Los Angeles on Tuesday that his father was surrounded by his family when he died on Saturday (February 5). “(He) never let his handicap keep him from living life to the fullest and he was an inspiration to all of us, showing us how to stand up to all adversity. We will miss him terribly” – Balthazar Getty said. Getty was called the ‘golden hippie’ in media headlines as a young man in which he moved within a world of artists and activists. He spent much of his youth living in Rome where, in 1973 at age 16, he was kidnapped and held for ransom in a sensational crime that made headlines worldwide. His grandfather and father initially believed the plot to be a hoax and refused to pay a ransom. They eventually gave in after Getty’s kidnappers cut off his right ear and mailed it to his family along with pictures of the injured teenager. Born November 5, 1956, Getty was the oldest of four children and one of 14 grandchildren to the notoriously frugal J. Paul Getty. His father (J. Paul Getty II) looked after the family’s oil interests in Italy for a time, and when he and Getty’s mother, actress Gail Harris, divorced in 1964, the younger Getty stayed with his mother. This entry was posted on Wednesday, February 9th, 2011 at 9:15 am	and is filed under Tragedy. You can follow any responses to this entry through the RSS 2.0 feed. Both comments and pings are currently closed.